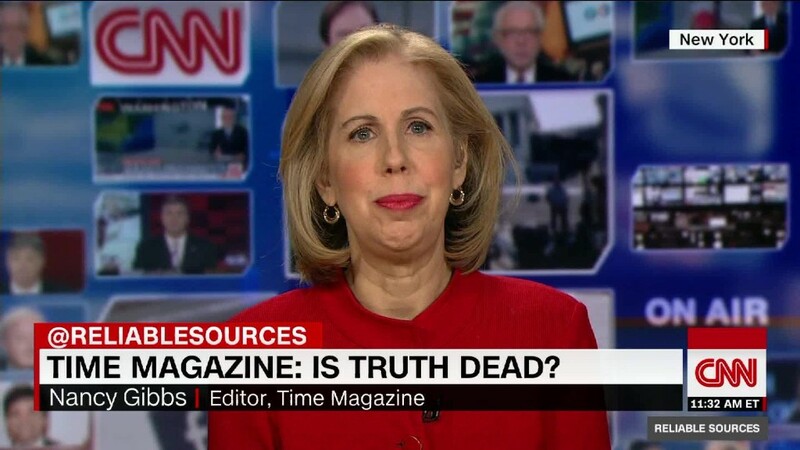 Time editor-in-chief Nancy Gibbs said Tuesday that she is stepping down, ending a 32-year-run at the magazine. She will remain there until the end of the year. "It's time for another chapter," Gibbs said in an announcement released by Time. Gibbs had for years before that been a fixture at the storied magazine. In the announcement on Tuesday, Time Inc. president Rich Battista and chief content officer Alan Murray toasted Gibbs' long career there, which has been highlighted by interviews with five different U.S. presidents and a number of cover stories, calling her "without doubt one of the most outstanding journalists of her generation." "Nancy is one of a kind and cannot be replicated," the memo said. Gibbs took over as editor of Time in 2013, becoming the first woman to land the role at the magazine. "At a time when there's a conversation about women in newsrooms and women leading newsrooms, I don't think it's a small thing that this company put a woman in charge of its flagship," Gibbs told Vanity Fair in an interview on Tuesday. In a memo to the magazine's staff, Gibbs wrote, "TIME's culture of collaboration has made it the privilege of my life to work here. I found some of my greatest teachers and my best friends—and as it turned out, my husband, who is all three. ... Suffice it to say that every day—or just as often, late at night—something happened here, some act of kindness or courage or genius, that reminded me why I am so grateful to call you my colleagues. There is no word as to who will replace her, though in their memo Battista and Murray said they "plan to move quickly to name a new editor-in-chief."